01.08.10 - 8/365, originally uploaded by Sarah (SarahDanyelle). Spent the day at my mother-in-laws doing a lot of nothing. 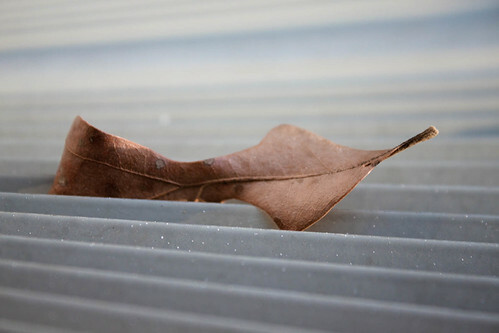 I saw this leaf sitting on her ac unit and thought it looked pretty.